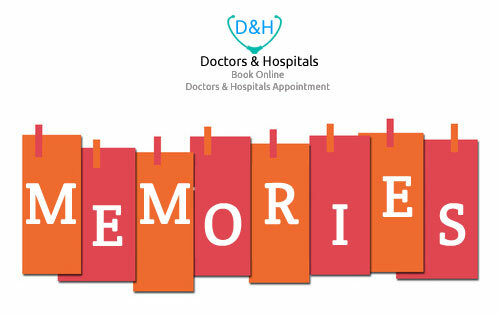 doctorsandhospitals.in > Medical News > Health Tips > How To Increase Memory ? Tension has increased so much that in today’s competitive life, we often forget even small things. At the right time, due to not being able to remember the right things, there is trouble and also have to face embarrassment. If you too often have to face this problem two times, then try the easy tips we have told you, you will understand the difference. Will be fine-tuned Exercise works tonic for the brain. It improves the flow of blood in the brain, as well as the power to think-understanding and strength increases automatically. Put a habit of writing – Try to remember the things you often forget, writing them down. You can use diary, email or mobile to write. If you want to memorize someone’s phone number, then make a habit of remembering them by making pairs or pieces. Listen Carefully – Due to the habit of hurrying or neglecting, it is also difficult to remember things. Therefore, it is necessary to listen carefully to remembering things. Concentration increases by doing one thing at a time. Put things in their correct place. While leaving the house, do not forget the things you need, keep things used everyday, like keys, mobile etc. in their correct place. Do Meditation – According to many research, meditation increases the blood circulation in the brain. By meditating, the mind is concentrated. It also gives us peace. The brain is free from obstacles. As a result, the mind gets relief. Go ahead and try experimenting. It is difficult to meditate, but the help of a capable guru can be achieved successfully. Keep Calm – Pressure, anxiety, nervousness etc. have a great effect on the advice. This is the reason why even meritorious students do not get good marks in exams many times. So keep calm and climb the success stairs. Whenever you feel stress, calm your mind and breathe a deep breath twice or four times. This will benefit you. Stay away from alcohol – To drink more alcohol and other addictive substances is like killing your ax. It has a bad effect on the body as well as mind-brain. In the state of forgetfulness, sometimes a person stands in a dagger of lies. Avoid such situations and keep yourself away from alcohol addiction. Have a balanced diet – Research shows that taking balanced diet rich in vitamins improves yadashat, word flow etc. Vitamins of B complex, especially niacin and beta carotene are particularly useful. Have a habit of reading – Put a habit of reading more and more. Read literary books. This will enhance your vocabulary and also open your mind. Many famous speakers have adopted this method and they have got success in that too.